Auto and tech companies are feverishly working to develop and perfect self-driving cars, but in due time, the industry’s going to turn into a raging bloodbath, according to a new study, with “billions and billions” of dollars wasted on boneheaded moves that go nowhere. The study, from consultant AlixPartnersLLP, estimates that more than 50 major competitors involved in the battle right now will be “reduced to handful of winners over the next decade,” as Bloomberg puts it. It shouldn’t come as too much of a surprise. Traditional automakers—General Motors, Volvo, Ford, and more—have staked out ambitious goals to deploy self-driving cars to the public for limited purposes by early next decade. Tesla thinks it can have fully-autonomous cars on the road by 2019. Audi wants drivers of the new A8 to feel comfortable enough to watch TV at speeds below 37 mph. All this amounts to a cutthroat deathmatch of sorts that’s going to cost those in the back of the pack a lot of cash to catch up—and might even claim the lives of fledgling automakers. Those who lose out won’t die off, especially the established car companies, Hoffecker said. But they’ll be racing to catch up in self-driving technology after having invested a lot of cash in the race to be first and likely will have to buy technology from the winners, he said. AlixPartners conceded that it’s way too soon to know what companies are going to prevail. 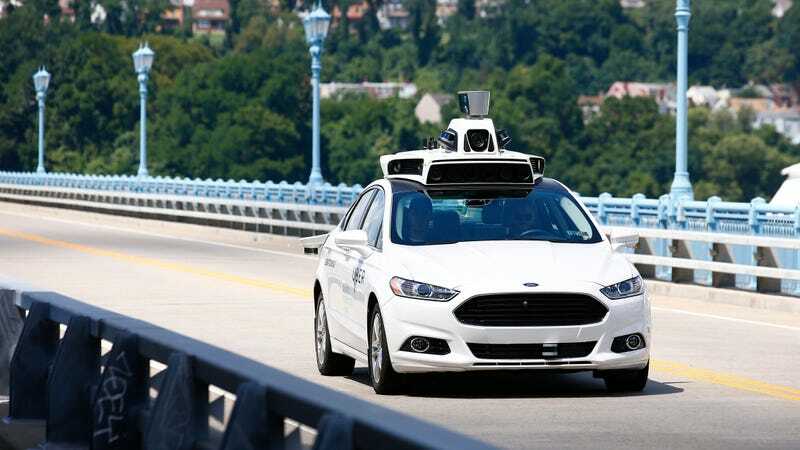 High-profile litigation between Google’s self-driving car project and Uber, for example, could put a significant dent in the ride-hailing company’s own autonomous vehicle ambitions, despite that it’s already invested heavily in the effort. If you needed exhibit A, here you go—and it’s not even 2018.